Dime + Pulp = Indie? Nicely placed between the 99cent and $2.99 price points of most self-published novels. Indie ebooks are cheap, the masses love them, and the elites revile them – not unlike Pulp Fiction in its heyday. And just like Pulp Fiction authors who went on to be big names in publishing, we’re already seeing indie authors blazing their own trails to fame and fortune (and sometimes infamy). Me: Give me the two-liner pitch on what readers can expect to see when they pick up one of your New Pulp novels. TH: A well paced quick moving plot, over the top, yet defined characters, and clever turns of phrase and uses of the language. In short, what every good Genre tale should have. Me: What’s your most popular title, and why do you think readers gravitate to it? TH: By far, our most popular title so far is BLACK PULP. I think it draws readers for a few reasons. One is we have a lineup of writers that appeals to a whole range of readers, including best selling authors Walter Mosley (of EASY RAWLINS fame) and Joe Lansdale (Creator of HAP AND LEONARD). But another reason is these stories are both pure Pulp, harking back to the classic two fisted tales of the early 20th Century, and groundbreaking in many ways. Classic Pulp tales did not portray African or African American characters in an overall positive light. BLACK PULP corrects that and again provides probably the most eclectic mix of stories any book has to offer. Me: I picked up a copy of BLACK PULP when you talked about it at the show, and I love the idea of reinventing the form of Pulp Fiction without having to bring some of the ugly prejudice of the past forward with it. This, not so coincidentally, is one thing I love about Steampunk as well – the stylistic expression of a bygone era updated with modern sensibilities. I haven’t read BLACK PULP yet, but it’s on my list. I recall you saying this was one of your favorites of the Pro Se lineup – what is one of your other favorites? TH: BLACK PULP definitely speaks to me on a lot of levels, but as for favorites, it’s hard to pick just one, but the work of Barry Reese, Derrick Ferguson, our CHARLES BOECKMAN PRESENTS line and our PULP OBSCURA line, all of those appeal to me most as a reader. Me: I can see how ebooks and Print On Demand publishing help niche markets stay alive or reinvent themselves. Pro Se has been in business since 2010 – I’m assuming that coincides with the rise of those publishing technologies. Yet, you brought a truckload of books to the conference! Which do you sell more – ebooks or print? TH: We sell a lot of print books at conventions and conferences. We also do a brisk eBook business. The numbers, washed out over the last 3 years, probably give ebooks a slight edge, but not as much as you’d think. And the reason for that is we work at least 7-10 shows a year, print books do move. Me: Having just written a future-noir, I’m intrigued by your Savage Noir book! Are Noir and Pulp Fiction styles cousins or brothers? TH: Yes. No. Could be? Noir, of course, began as a film style, but it has definitely, like Pulp, outgrown its original stable. Is All Noir Pulp? No. 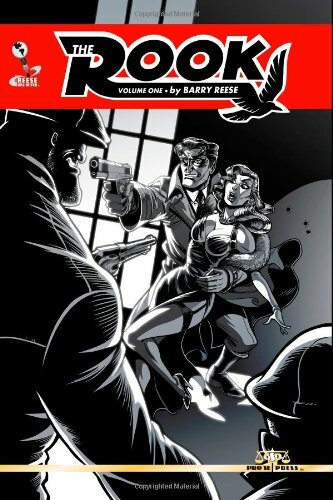 Can Noir be Pulp and vice versa? You bet. But Pulp can also be Romance, Western, Science Fiction, and any and all of the genres mixed and mangled any way you want. Me: Cool! Anything else you’d like to tell my blog visitors? TH: Pro Se Productions is my passion, but it’s also the product of a lot of hard work by a lot of people to truly move from being a small press to a player as an independent publisher. We truly hope readers enjoy every bit of action and adventure we throw at them. Me: I’m sure they will. Thanks so much for joining us today! « Teachers and Librarians! Middle Grade Reads and Giveaway! Nice to see you made good connections at our conference(one last plug, you know)! It had not occurred to me until the line-up all came together how much you two would have in common! Funny, even when there are different speakers at these things, everything seems to intertwine. Just goes to show that deep down, all writing has common ground.